On February 27, 2015 we lost an icon, but Leonard Nimoy was more than that, he was a hero. 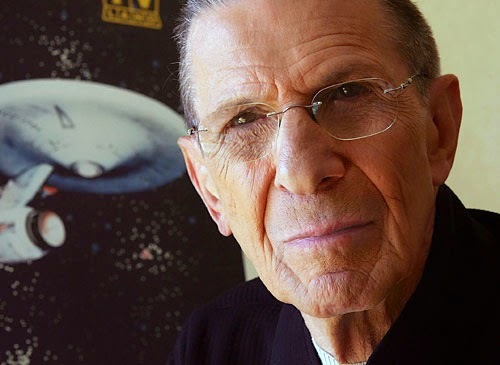 Those of us that grew up in the 60’s and 70’s first met him as Mr. Spock on Star Trek, the half human, half Vulcan science officer onboard the USS Enterprise. However, I also remember him as different characters throughout different television series that my dad watched all the time. Bonanza, Sea Hunt, Rawhide, and even Get Smart. The one thing that all of his characters had in common was that he was believable. He was never the handsome heart-throb. He was the man that told you how it was, like it or not. As Mr. Spock, Leonard gave hope to those who felt different, looked different. He showed that differences could be bridged through friendship and by trying to understand the feelings and opinion of others even if you didn’t share them. He never judged Jim (William Shatner) for being a he-whore, or McCoy for being as over-the-top emotional. He didn’t care that Ohura was African American or that Chekov was Russian (we were in the middle of the cold war). And that Vulcan eyebrow didn’t raise a bit when America experienced its first inter-racial kiss between Kirk and Ohura! 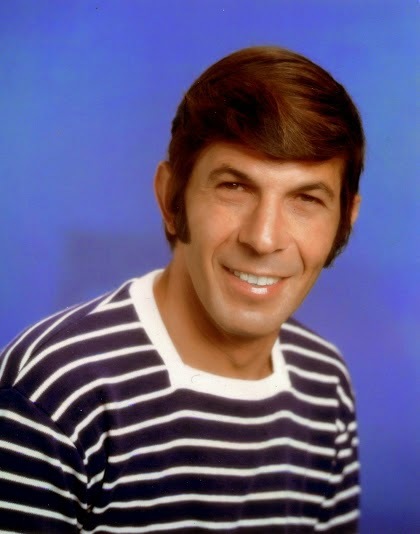 Throughout the years, Leonard was never able to shake the Mr. Spock persona even though the series only lasted 3 years but he used it to his advantage. He was able to play the same character in three different mediums, the first to do so. Star Trek the original series, Star Trek the animated series, and all of the Star Trek movies. 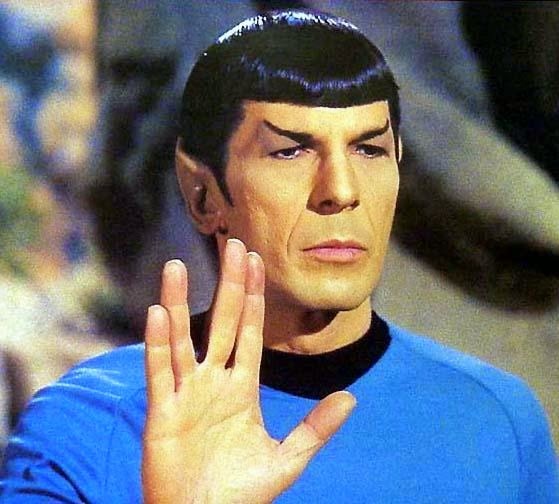 In many interviews since the beginning of Star Trek (1966), Leonard Nimoy has recounted the origin of the Vulcan salute, which he introduced into the series. In one such interview (with The A.V. Club in July 2010), he explained, "The gesture that I introduced into Star Trek, the split-fingered Vulcan salute, we'll call it... that came from an experience -- I'm going all the way back to my childhood again -- when I was about 8 years old, sitting in the synagogue at high holiday services with my family. There comes a moment in the ceremony when the congregation is blessed by a group of gentlemen known as Kohanim, members of the priestly tribe of the Hebrews. 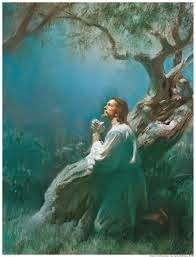 And the blessing is one that we see in the Old and New Testament: 'May the Lord bless you and keep you; may the Lord cause His countenance to shine upon you', and so forth. When they give this blessing, you're told not to look! You're supposed to avert your eyes. I peeked, and I saw these guys with their hands stretched out - there were five or six of them, all with their hands stretched out toward the congregation - in that gesture, that split-fingered gesture. Sometime later, I learned that the shape that hand creates is a letter in the Hebrew alphabet, the letter shin, which is the first letter in the word Shaddai, which is the name of the Almighty. So the suggestion is that they're using a symbol of God's name with their hands as they bless the congregation.". Leonard, as you begin your journey into your final frontier, may your spirit “Live long and prosper” for you will be in our hearts forever. Last week, I had the occasion to hang out with a good, close friend for a good period of time. This occasion left me feeling grateful and with a smile on my face. And many of you may say that I have plenty to smile about. I have a beautiful wife and the cutest children. 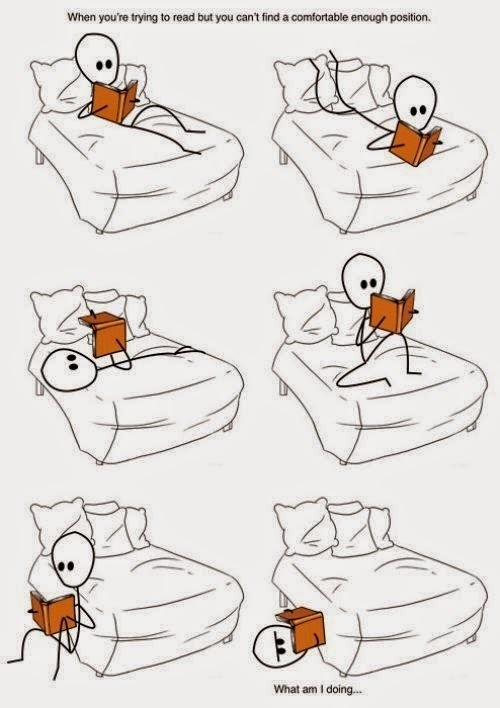 And yes, that is true. But sometimes, having something extra to smile about because "husband" and "father" can be difficult alone. 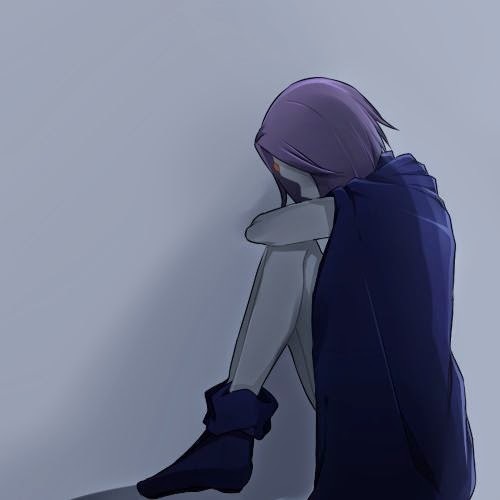 Being a friend is still needed. 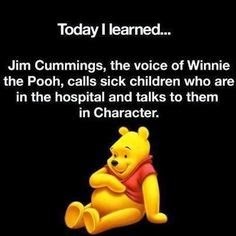 And sometimes, a kind word can do wonders to someone's day. I love these lyrics. You can here the song here. There are those times in life when we feel like asking "why?" Why are these things happening to me? Why do I feel this way? Why can't I just have what they have? Why is everyone happy but me? I'm a fan of finding deeper meaning to songs. Well, songs I really like and feel already have a good message. This song is about trials and what they can mean for us. 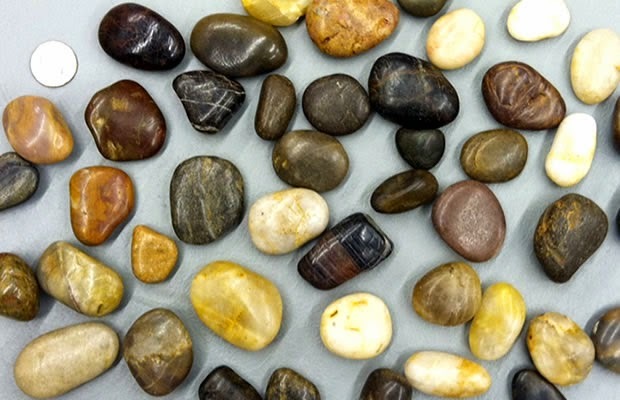 That we are stones that get smoothed as we go through the river of life. There's one key word I really want to focus on here, though. The word is "we". Wait, what? How is that important? It's such a simple, two-letter word. What's so important about "we"? It's definition. "We" in the collective sense, are not alone in our trials. The stories in the songs tear at our heartstrings because they've happened to people we know. Or maybe to us. Perhaps we can only empathize that pain with our own individual, yet similar, experiences. For me, there is always someone who can understand our pains. Sometimes, it requires a prayer. Sometimes, it's being vulnerable and speaking to a friend. Sometimes, it's just a slap in the face reminder that we're not alone and need to get off our case. Not sure. But it is better knowing I am not alone. I do have a wonderful and understanding wife. I do have beautiful children who can make me smile and bring me such great joy. I do have good friends who can cheer me up when I'm down or listen to me complain about whatever it is I need to complain about. Life isn't always peachy keen. It just isn't. 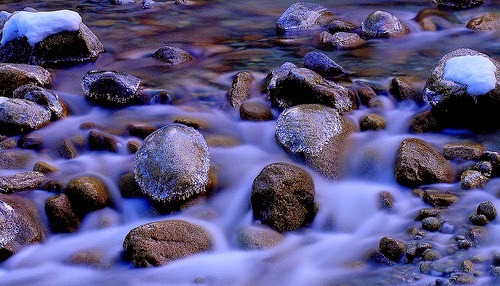 But it's good to know that we're going down this river with other stones whose edges are also being smoothed. 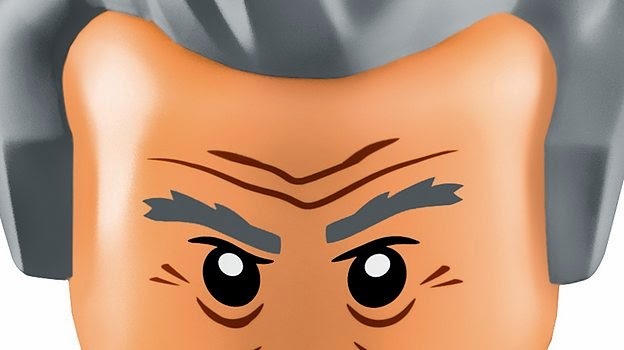 Recently, there was an announcement from Lego that caught my attention. 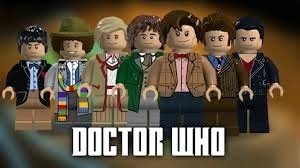 They are going to finally do a Doctor Who set. You can click here for that announcement. 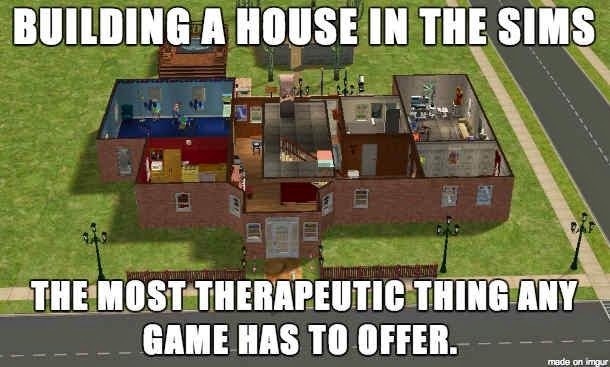 As a kid, my brother was the one with the Lego obsession. He had a bunch and he would kindly (sometimes after my parents told him to) let me play with them. I remember one General Conference when he and I sat quietly building our own stuff. I don't recall what he built, but I built a house that I really loved. There was a dad, a mom, a daughter, and twin sons. And it was pretty cool. As a writer, there was a story involving them. I can't remember what it was now. In discussion of Lego Batman with fellow Mormon Geek Joe, we've come up with the same issue. We love buying the Lego Batman sets, but every set comes with a Batman figure. I got the Batcave, Arkham Asylum, The Riddler's Chase, and the Joker Steam Roller. This means I got 4 Batman figures (5 if you include the Bruce Wayne figure with the Batcave.) So the downside with Batman sets is that you always get a Batman. They do what they can to keep each Batman different. 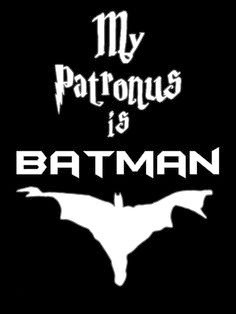 But in the end, it's still Bruce Wayne in a costume. 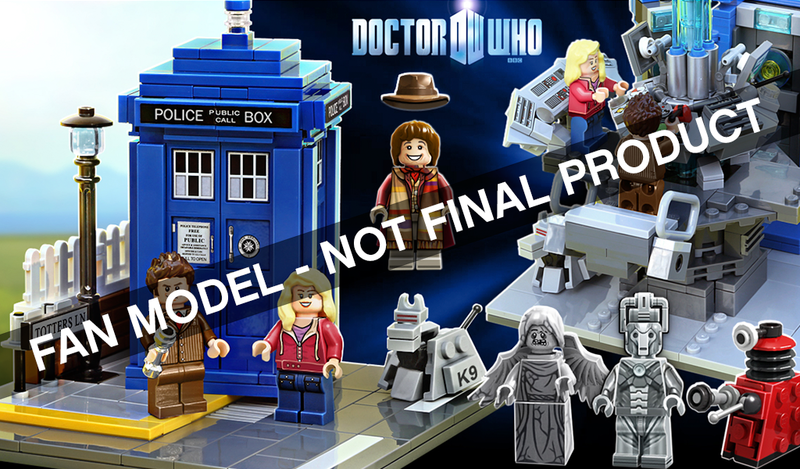 But then that announcement was made and my whole Lego wish list immediately shifted. Sadly, the above picture is not real. 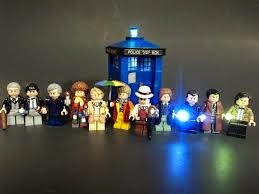 If it was, I'd be so excited to get the 4th Doctor. Come on, that scarf is just so awesome. Seriously, Doctor Who has some staying power behind it. Not only that, but Doctor Who has become one of the most popular shows in the last 10 years. There are plenty of nerds and geeks that don't like it or don't get it. (I'm so sorry.) But in the last three (and only three) cons I've attended, I've seen so many different people cosplaying as a Doctor or a companion or villain. The lines for Doctor Who actors have always been long. Shoot, they sold out on tickets for the Doctor Who panel with Matt Smith, Karen Gillan, and Billie Piper. So, yes, I'm excited for whatever Doctor Who they bring out. I will definitely do what I can to purchase it/them immediately. But until then, I'm gonna keep a look out for official announcements as to what the sets will look like. I didn't think I had any problem with Pinterest, until I noticed that my board, Stuff From a Mormon Geek, reached 900 pins this week. I figured that was impressive, and while I seek help for internet addiction I want to share with the uninitiated the wonders and delights of Pinterest. 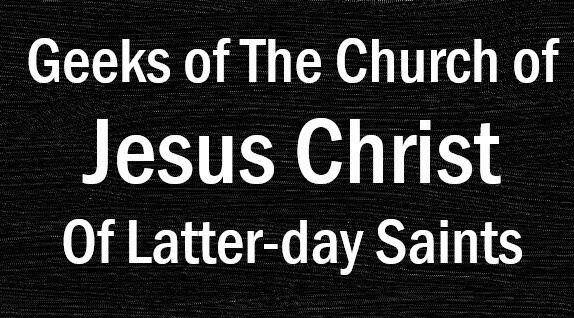 Following are 25 of my favorite Mormon Geeks pins. Click here to see the full board, and don't forget to follow us! 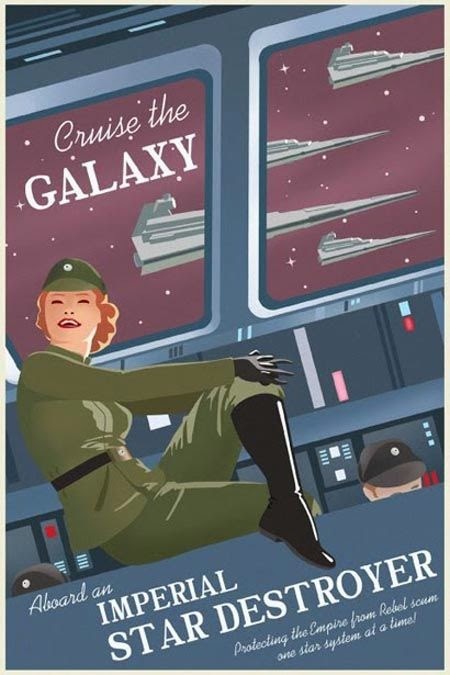 The Empire wouldn't run if everyone hated them, so I figured they'res got to be some promotional material somewhere. I love this because it's so 1940's pin-up. 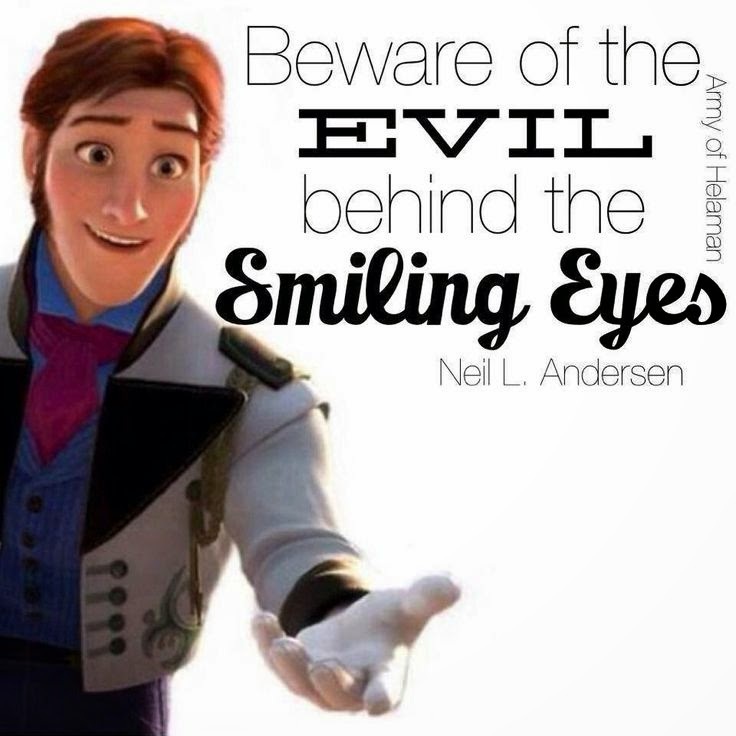 I doubt this is what Elder Anderson was talking about, but I would die to hear a conference where Disney was referenced directly. 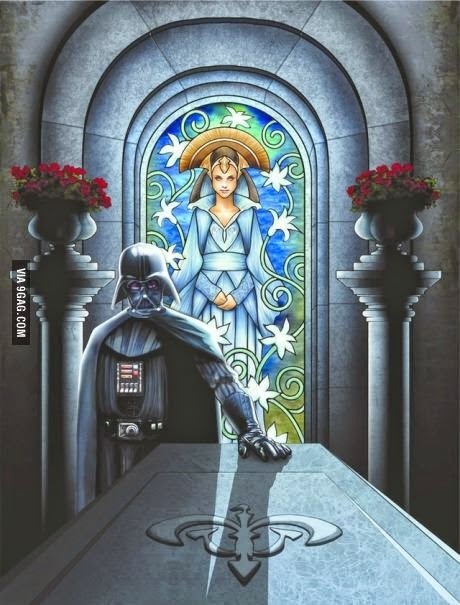 Say what you want about the prequel trilogy, this painting is beautiful and has a sense of reverence to it. He knows it wouldn't do her any good. She knows it wouldn't do her any good. He knows she knows it wouldn't do her any good. Why did she do it anyway? 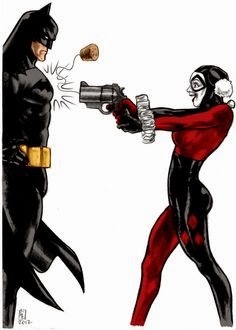 My money is that the next moment Batman smirked. 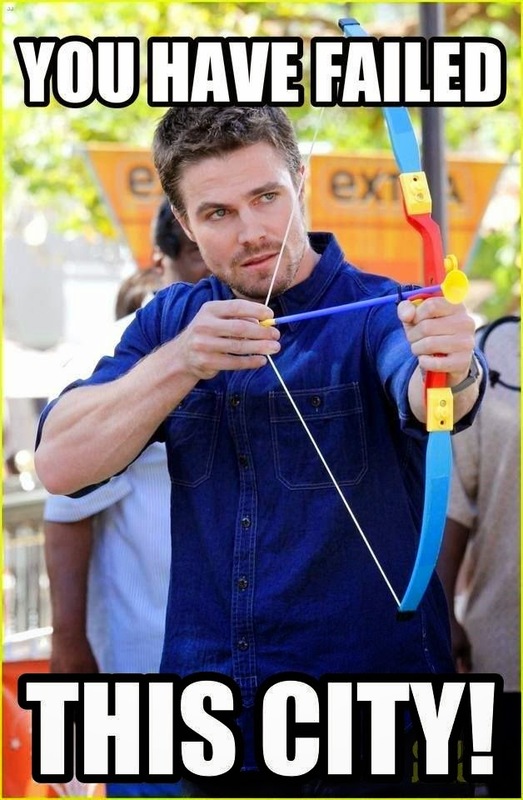 Let's face it: With that thing he could still take down half the thugs in Star City. This is one of my favorite backgrounds. 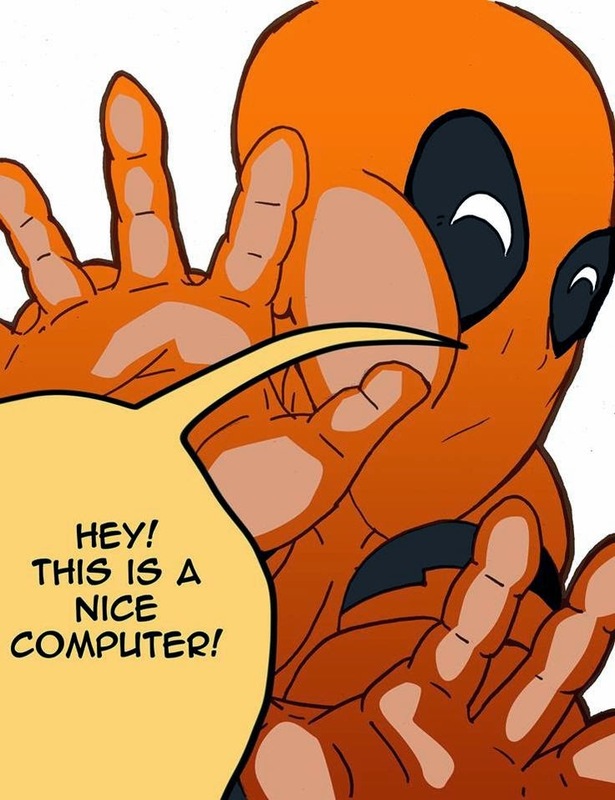 I love that Marvel has a character that routinely breaks the fourth wall. I love how his ears are pulled back. 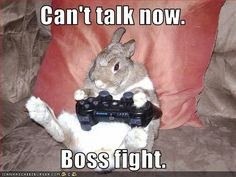 I think he's really concentrating. 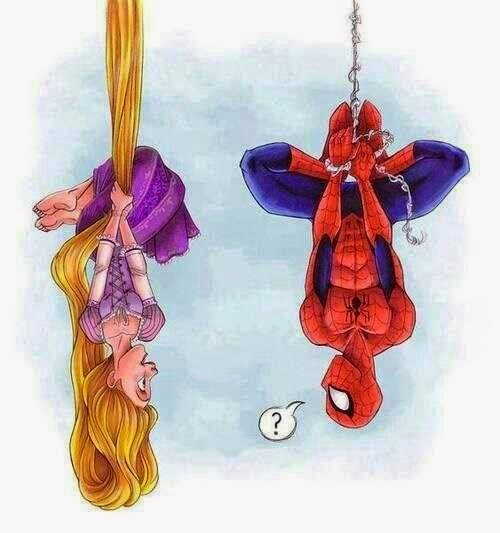 This is what you get when you join the Marvel Cinematic Universe, Spidey. 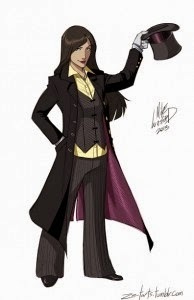 This is Zatanna in a modest costume. This artist did a whole series of female modest outfits but Zatanna is one of my overall favorite characters so I had to put her here. 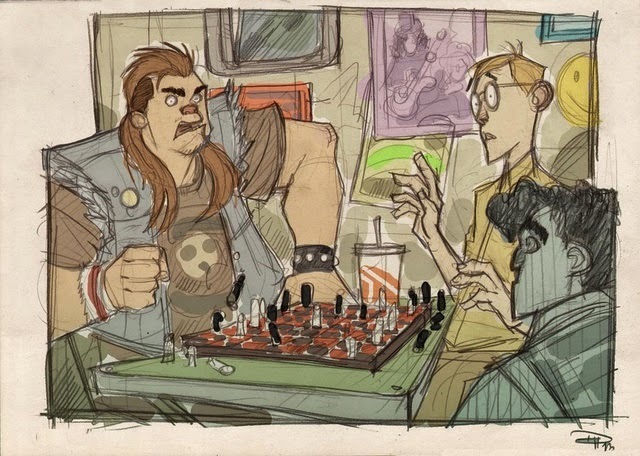 The idea here is what if Star Wars was an 80's John Hugh's movie? For those who don't know, that's the guy who made Pretty in Pink, The Breakfast Club and Ferris Buhler's Day Off. This artist also has a whole series on my board and I love every one. 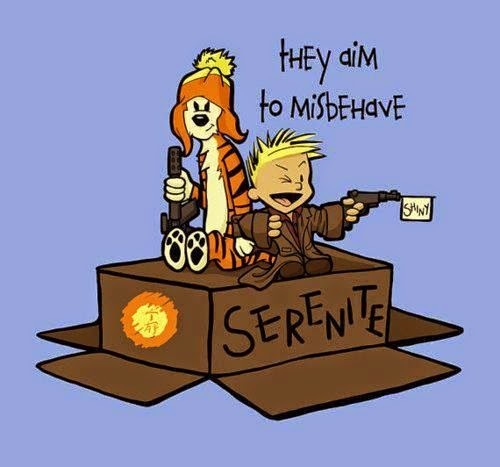 If anyone was going to cosplay as Firefly it would be these two. Pintrest is for fans to discuss their theories and the nit-picky little things they've noticed. 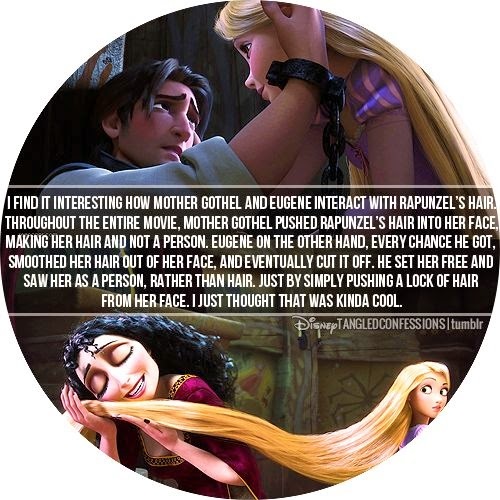 Mother Gothel is a perfect example. Of all my boards this pin seems to be the one that's repinned the most. The color is perfect. The imagery for Raven is perfect. What can I say, it's the most popular for a reason. This one was so cute it's the cover for my board. 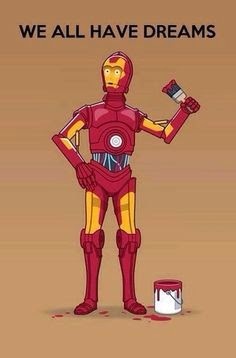 Poor C3PO. Dream high buddy. 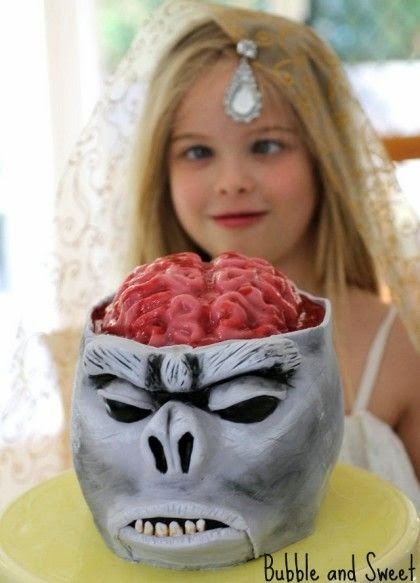 Tell me this wouldn't be the best theme party ever-Indiana Jones and the Temple of Doom dinner, complete with monkey brain dessert. Not many people could cosplay as Appa and make it work. 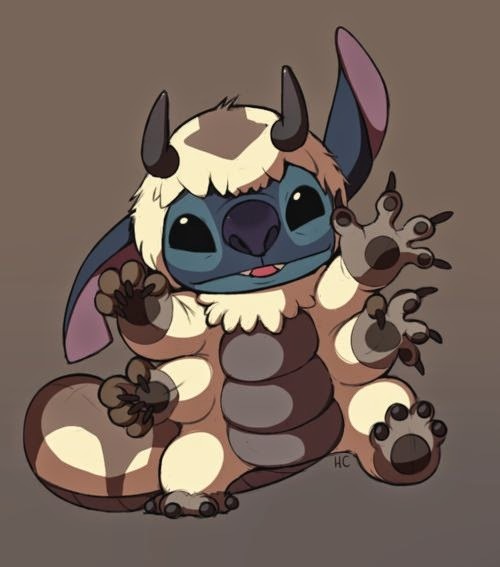 Stitch's extra arms helps immensely with that. Just melt your heart right here. 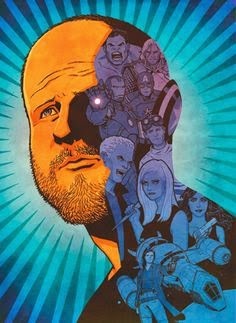 Joss Whedon is such a brilliant mind. I love everything about this, THEY EVEN HAVE DR.HORRIBLE!!! This was my wife's cake for one of her bridal showers. 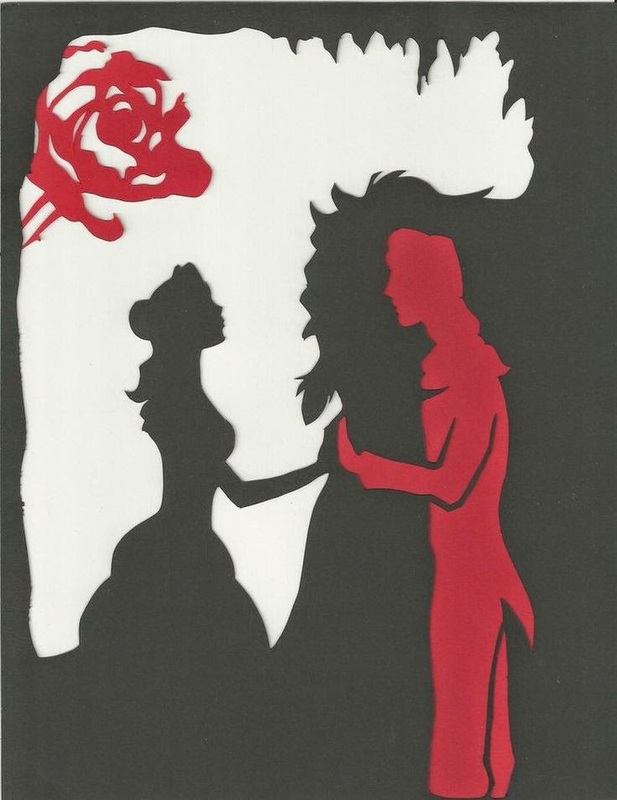 It was so beautiful it brought us both to tears. 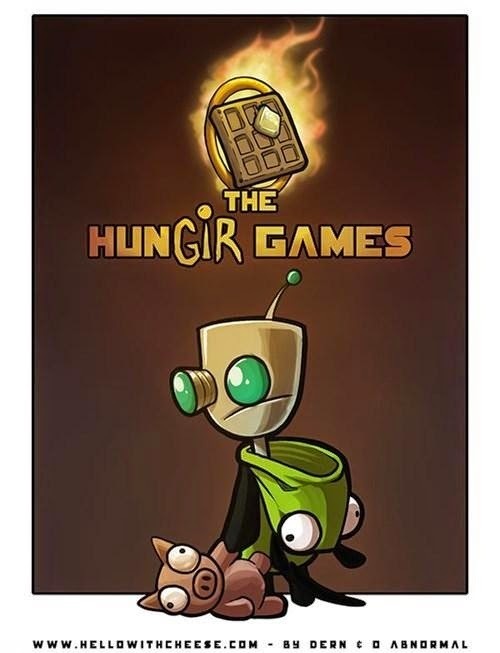 May the waffles be ever in your favor. 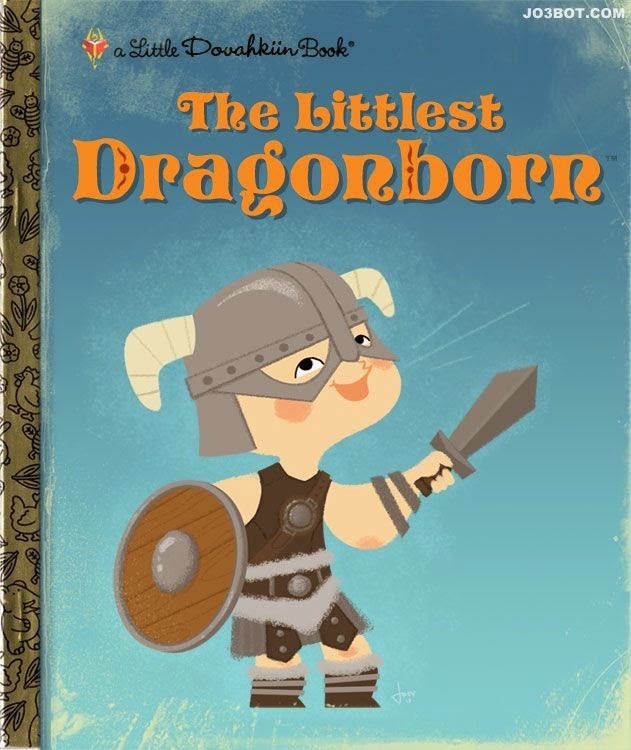 What if they made storybooks based on the video games we play? I would let my child read them. What happy thought would you have to think to conjure this? 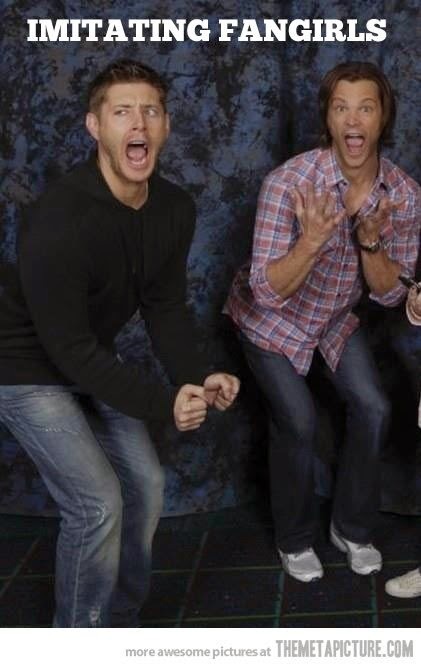 If you've never seen Supernatural, what are you doing with your life? Are you a Pinterest fan? Let us know what your favorite pins are! My topic today is more Mormon than geeky. But that's okay, since a lot of my posts are more geeky than Mormon. Last month, I had the opportunity to be an extra in a short film. Other than a small part in a road show when I was a teenager, I've never really had the opportunity to perform before, and even though it was just as a volunteer, it sounded like a lot of fun. 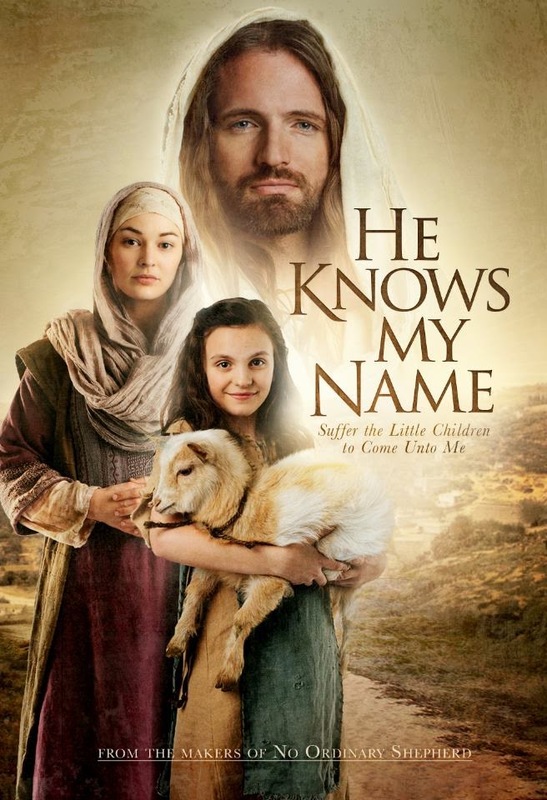 The name of the film is He Knows My Name. 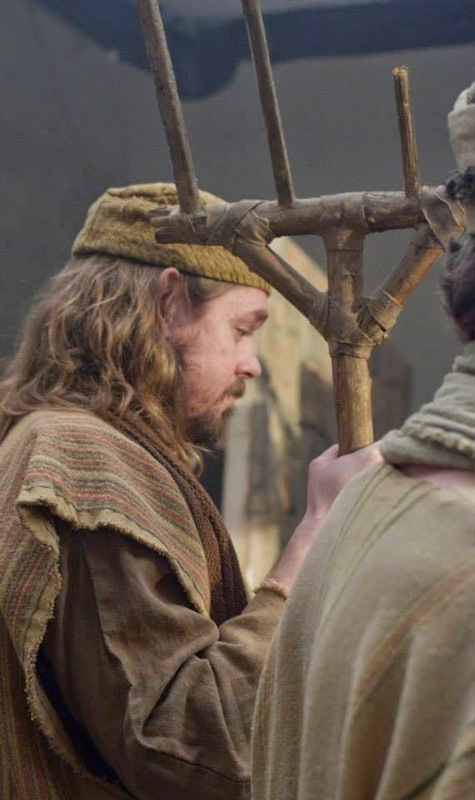 It's being produced by MainStay Productions, a studio that has also produced films such as The Christmas Dragon, Christmas Oranges, and No Ordinary Shepherd. He Knows My Name is being billed as short film about love, faith and redemption. 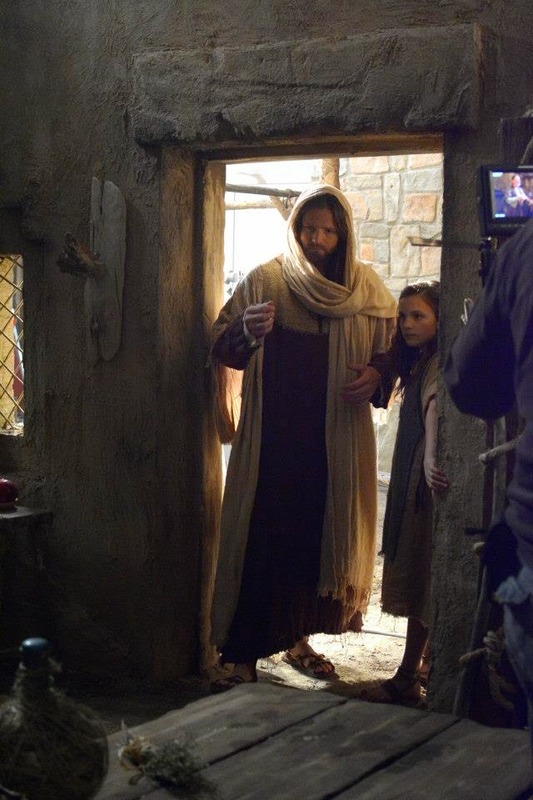 It is about Christ and a young girl who comes to know him and believe in him. When I saw the call for extras, they were asking specifically for men with beards. As I was growing my beard out to cosplay as Thor at FanX at the time, I definitely had the look. Along with dozens of others, I was an extra in a scene depicting a busy market in Jerusalem. Some of the other extras had been in a number of productions before, while others, like me, were new to the whole experience. But I got to where an authentic looking costume and got a prop and had a lot of fun with the whole experience. Just giving as little as $5 will get you a digital download of the film, and just $10 will get you a DVD of the film. So take a few minutes to read the promo and watch the trailer. If you're able to give something to support this local project, that's great. (But don't put it off too long, the Kickstarter fundraiser ends in less than two weeks) And even if you aren't able to give financially at this time, watch for it to come out on March 16th. In addition to being available through pre-ordering on the Kickstarter website, He Knows My Name will be available at Deseret Book and Seagull Book locations. And if you do watch it, look carefully and you just might see me! 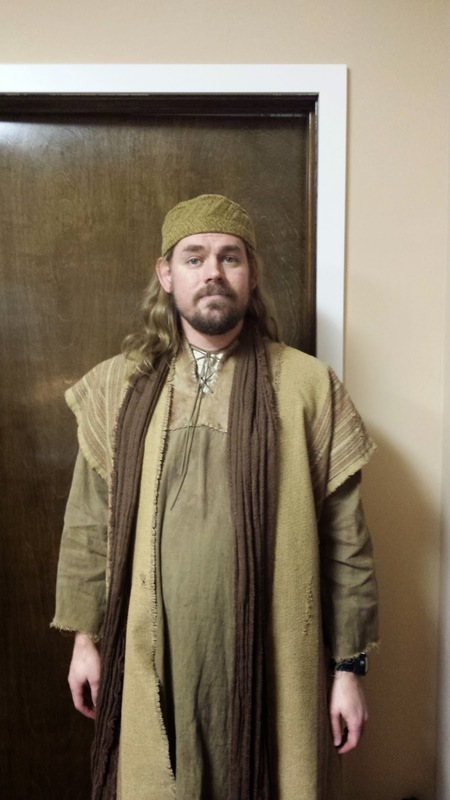 Today, Mormon Geeks has a guest author: Spencer Ficiur. He will walk through his favorite things about the Xperience. I think he likes Cosplay. I had my first comic-con (fan) experience this past month. Disappointed that I couldn’t go to the Salt Lake Comic Con back in the fall because of work and school, it was wonderful to be able to make the time to go this time. 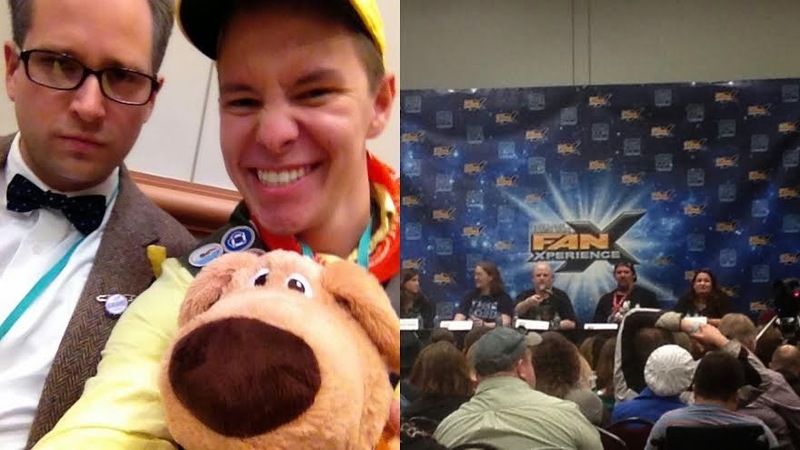 So as such I’m guest posting about my top 10 moments of Salt Lake Comic-Con Fan Experience! Thursday, my friend David and I dressed up as Captain Hook and Prince Charming from Once Upon a Time (our favorite obsession). I’m proud to say we were pretty unique in our costumes, as we only found a few others in Once Upon a Time cosplay (two of them will be in spot #7). So spot #10 goes to meeting the other Captain Hook. 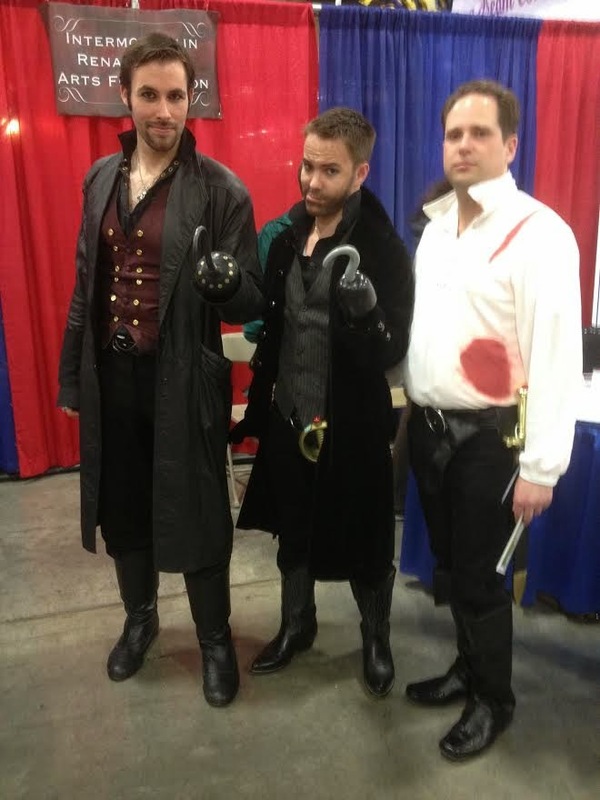 As much as I love my Hook costume, I’ll admit his was better (though I’d say that’s largely because his facial hair was real). 9. Don’t blink! Don’t even blink! Blink and you’re dead! 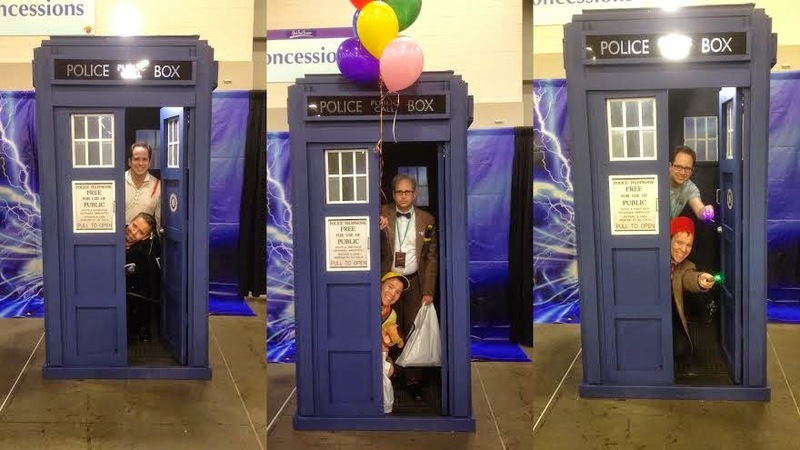 All three days there was a TARDIS at FanX. Naturally as a devout Whovian I had to visit it. 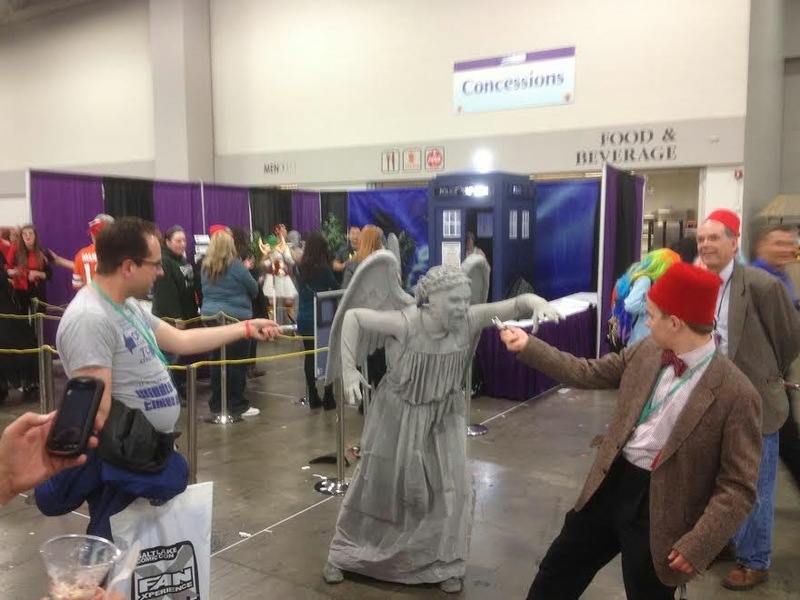 Next to the TARDIS was a weeping angel. Kinda freaky when she would actually jump out at you. So naturally when I was dressed up as the Eleventh Doctor on Saturday I had to face off against this demon. No way was she getting the TARDIS on my watch. David and I took the train up to Comic-Con each day and it was interesting riding Frontrunner in cosplay. It was also fun to spot all the cosplayers getting on and getting off as we rode up to Salt Lake. 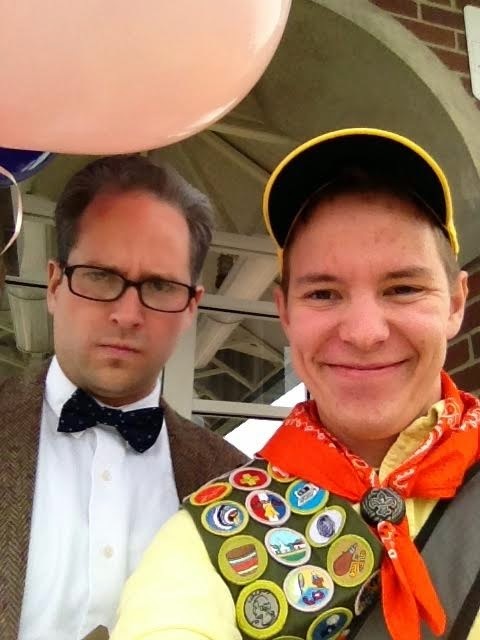 My favorite of the three days on the train was Friday when we dressed up as Carl and Russell from Up. 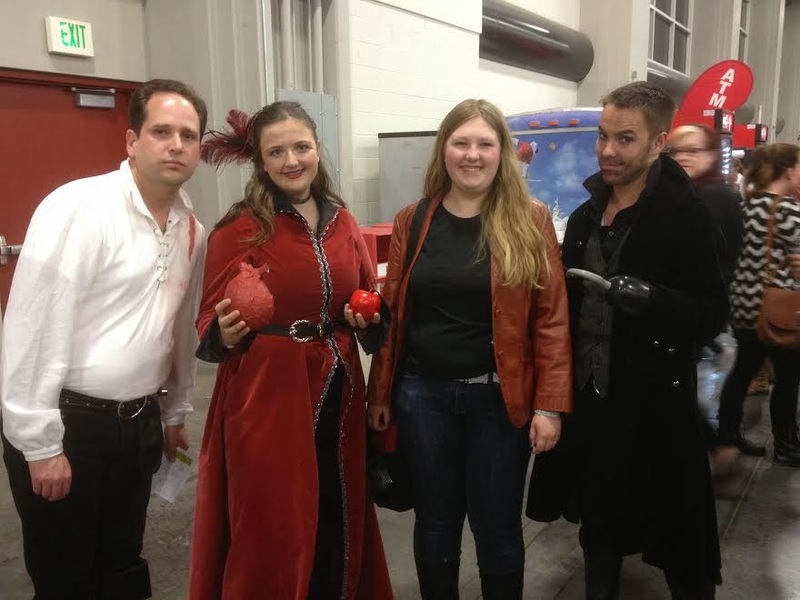 On Thursday when David and I were dressed as Hook and Charming we were pleased to run into someone cosplaying as my character’s true love (Emma Swan) and someone cosplaying David’s favorite anti-hero (the Evil Queen, Regina). We quickly took advantage of the opportunity to get a photo with these ladies. Their costumes were awesome! As mentioned previously, the TARDIS was at Comic-Con all three days. As I had three different costumes, I took a picture in the TARDIS each day. My favorite was Russell and Carl commandeering the TARDIS for an adventure! Saturday while I was dressed as the Eleventh Doctor one of the staff at FanX invited me and Adam to get our pictures taken for Comic-Con’s Facebook page. 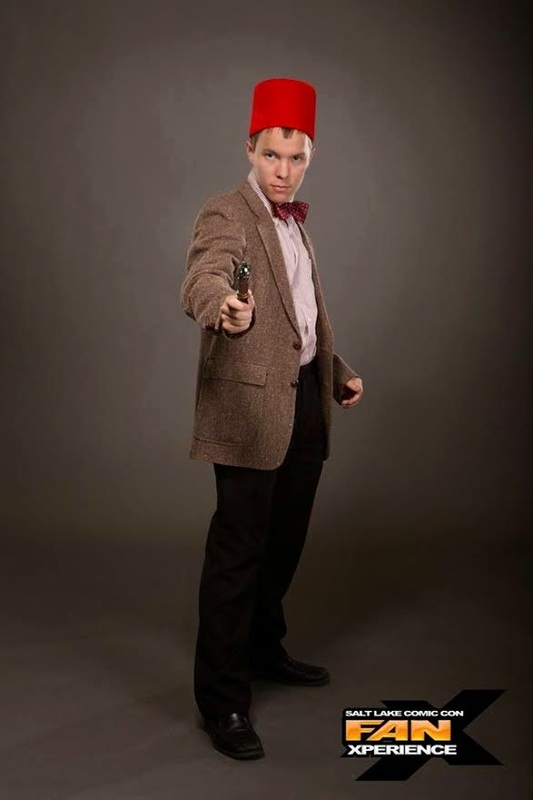 I knew my Doctor cosplay was good, but it was really an ego boost to be asked to get my picture taken professionally for free. Moral of the story: if you’re going to cosplay, do it right. On Saturday I decided to treat myself to a little piece of fun that would make my inner child happy. 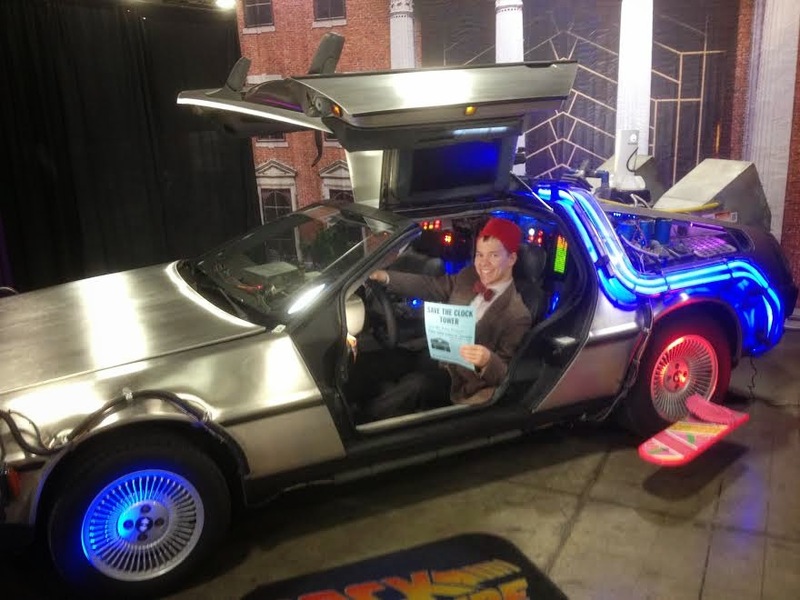 The Michael J Fox Foundation had a Delorean at Comic-Con for people to take pictures in. The proceeds from it went to the foundation. It was my birthday, it was going to a good cause, and I was dressed as a time traveler. I figured it was a good idea. Having raised me on Back to the Future, my dad was pretty pleased. 3. Do you fancy Billie Piper? 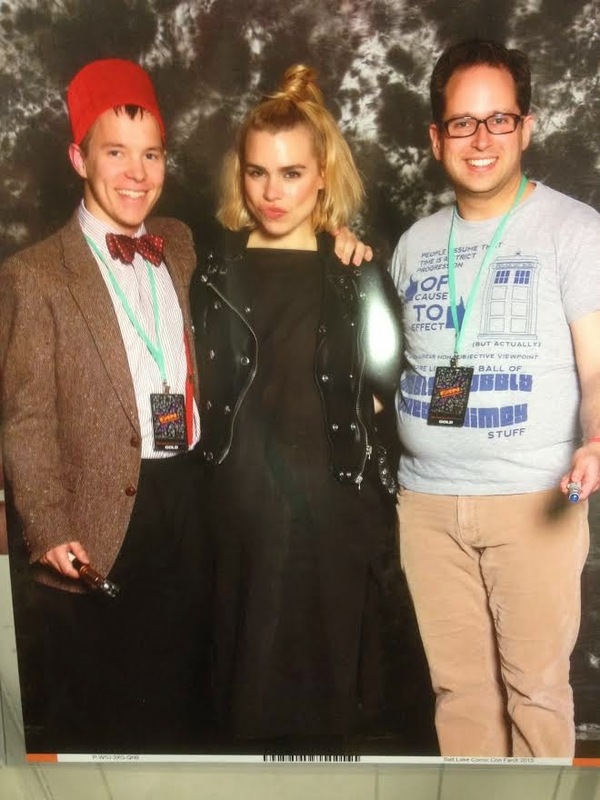 A Rose by any other name… One of my favorite companions from Doctor Who (Donna is #1 and Rose is kind of tied for #2 with Clara) it was a cool birthday gift to myself to get a picture with Billie Piper. This would have easily made #1 on my list if we’d seen her for more than 15 seconds. Pardon the Lady Gaga reference, but it was pretty hard to top the applause that David and I got when we walked into a panel about Pixar movies as Russell and Carl. Apparently they had just finished talking about Up just before we came in and between our outfits, David’s balloons, and my stuffed Dug, we were hard to miss when we walked in. Again, my ego was boosted a little. Simply put, my favorite part of Comic-Con was dressing up. As mentioned, Thursday we dressed up as Once Upon a Time characters (Charming and Hook), Friday we dressed “Up” (Russell and Carl), and Saturday I dressed as the Doctor with David as my fanboy companion (technically he was a David Tennant fanboy, but… wibbly wobbley timey wimey… stuff). Friday’s costumes were my favorite. Only earlier in January had we decided we wanted to cosplay Carl and Russell (most of the stuff we had already; cheapest costume I’ve made yet) and it came together so well. 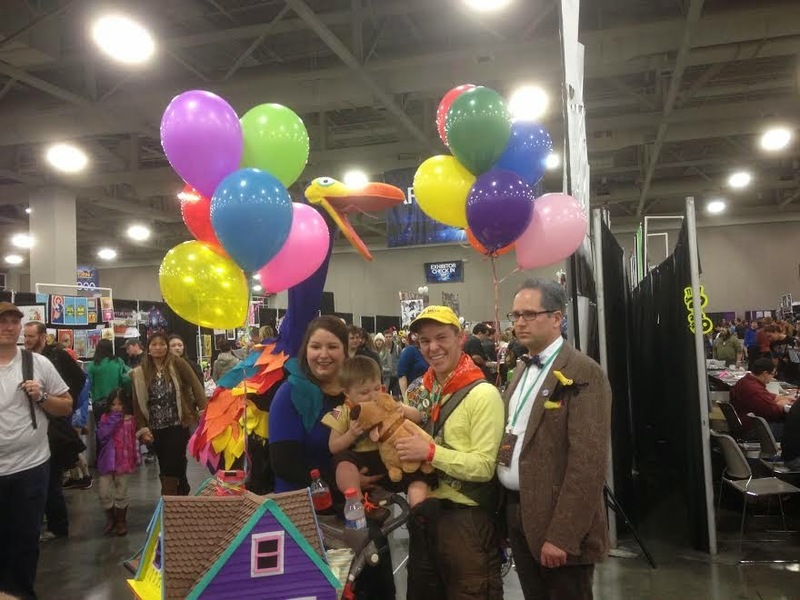 Not only that but I got a huge ego boost when people kept asking to get their pictures with me and Mr. Frederickson (also, if David’s hair greys like that in reality it’s gonna look good). Like I said before, with cosplay, go big or go home. And we went big. I’m looking forward to Comic-Con in the fall. I’ll already debating on whether I want to do the same costumes again or if I should branch out (I also have a Mario costume I could utilize). Fortunately I have some time to think about it. So I guess I’ll see you at Comic-Con.